Machine Wash Cold or Hand Wash Cold (Recommended) and Hang Dry.Generally there is no special care for it. 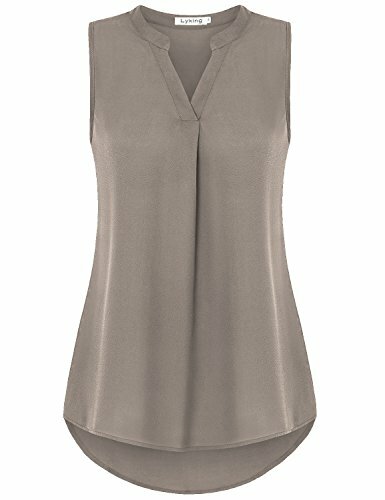 Lightweight, Keep Comfy and Cool in Summer.The fashionable pleated front makes this lightweight blouse timeless fashion, which makes you both chic and classic. Perfect for Hot Summer Days But Also Can be Worn During Cold Season as Layering Top.Suit for casual or daily work. If you have any questions about this product by Lyking, contact us by completing and submitting the form below. If you are looking for a specif part number, please include it with your message.